I just realized it’s been a month since my last blog post! I do have a good reason though, my sister recently gave birth to her first daughter and I flew out West to spend a couple of weeks with her and my family. I haven’t cooked much in the week I’ve been back until a couple of days ago in preparation for a potluck. I’m planning on getting back on track though and I hope you all enjoy this lightened up version of southern squash casserole. 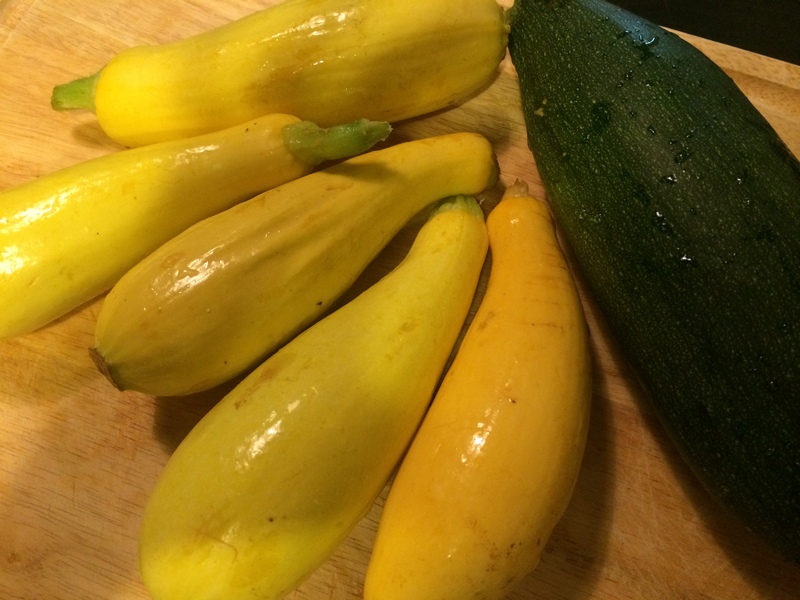 The squash itself was a donation to the local food pantry where I volunteer. While I would normally never take any food from the pantry in this case the donation of cucumbers and squash was so large we couldn’t give it all away and it wouldn’t last until our next opening. So I decided to make good use of the squash in one of my favorite comfort food recipes. This recipe isn’t complicated but it does take a little bit of time – approximately 1 and 1/2 hours including cooking time. It’s slow cooked from scratch food without anything processed or artificial. 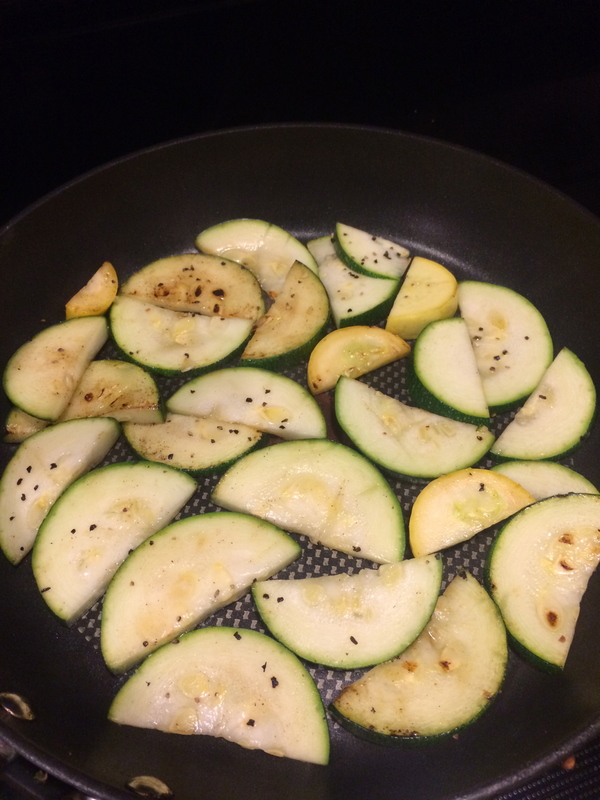 First I saute about six cups of a mix of yellow and green sliced squash with salt and pepper in a pan in batches. You want the squash to get golden brown so you have to cook them in one layer in the pan. After each batch is cooked I remove it to a large bowl and spray some more olive oil into the pan before adding the next batch. After cooking the last batch of squash I add to the pan diced onions, grated carrots, and minced garlic with a tablespoon of butter and salt and pepper. I saute that all together until it’s cooked through. 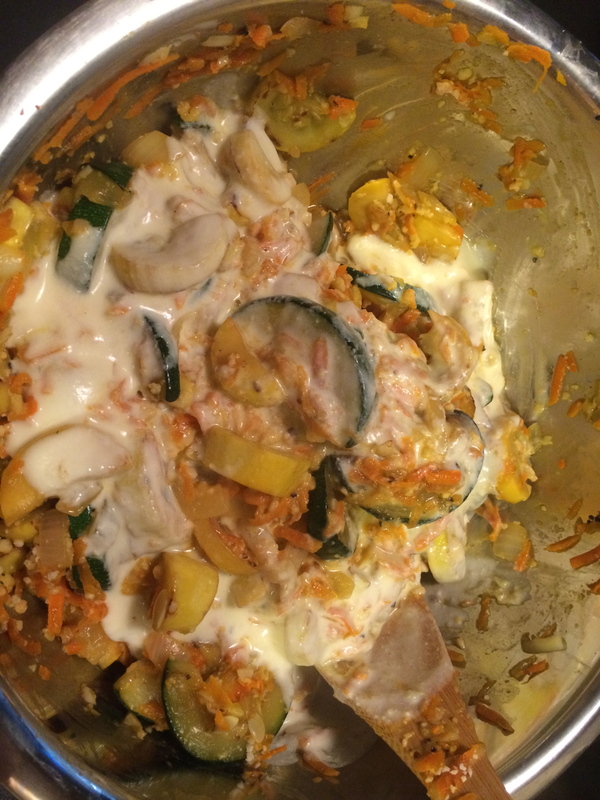 I add the carrot mixture to the squash and mix well, tasting for salt. While the squash is cooking I heat 1 1/2 cups of 2% milk in a saucepan. You want it to get to a low simmer and then turn the heat down to medium low. In a bowl I whisk 2 eggs well, then slowly drizzle in 1/4 cup of the hot milk while continuously whisking in order to temper the eggs. Then I put the mixture back on the heat to thicken, whisking often and never letting it boil or simmer too much or it will curdle. I then whisk in 1/2 cup of light sour cream. When it’s thickened to the consistency of a hollandaise sauce or a loose custard I remove it from the heat. Then I mix 1 cup of sharp, good quality cheddar and 1/2 cup of panko crumbs into the vegetable mix. I slowly drizzle the hot custard into the vegetables until it’s well coated and slightly wet but not overly runny. You may or may not use all of the sauce depending on how wet your veggies are. If it gets too wet you can always add some more panko. I put the mixture into an oiled casserole pan and top with more panko and cheddar. Bake at 375 degrees for about 35-45 minutes, until bubbly and golden brown. If the top gets too brown before it’s bubble turn it down to 350 and cover with foil. Saute the squash in single layer batches with salt and pepper until each side is golden brown. Remove to a large bowl. 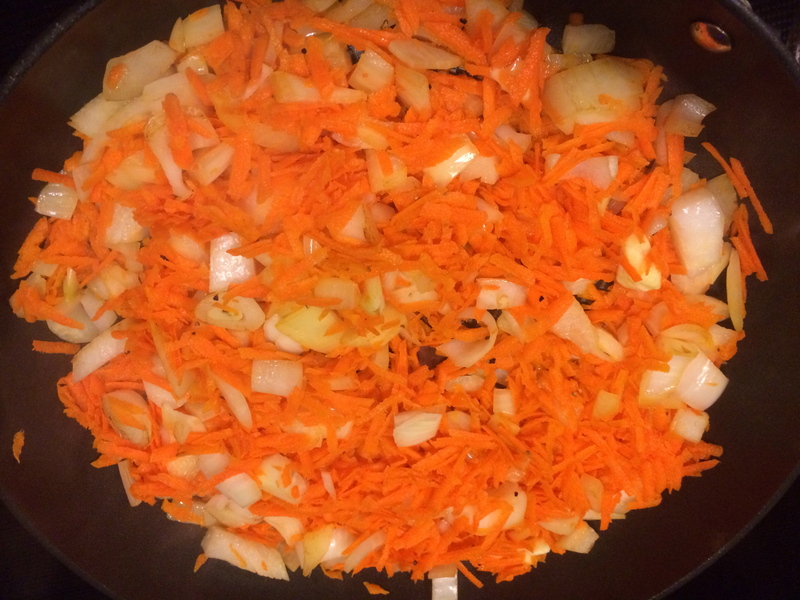 Saute the onions in spray oil and when they are translucent add the grated carrots and garlic. Saute until cooked through and add to the squash mixture. Heat the milk in a medium-sized saucepan and whisk the eggs in a mixing bowl. When the milk is hot and foaming at the edge of the pan slowly drizzle into the eggs while whisking. Pour in about 1/4 cup of the milk and whisk and then slowly add the egg milk mixture back into the pan, whisking constantly. Put the pan back on the heat and carefully watch, whisking, as it heats back up and thickens. Do not let it boil or come to a hard simmer! 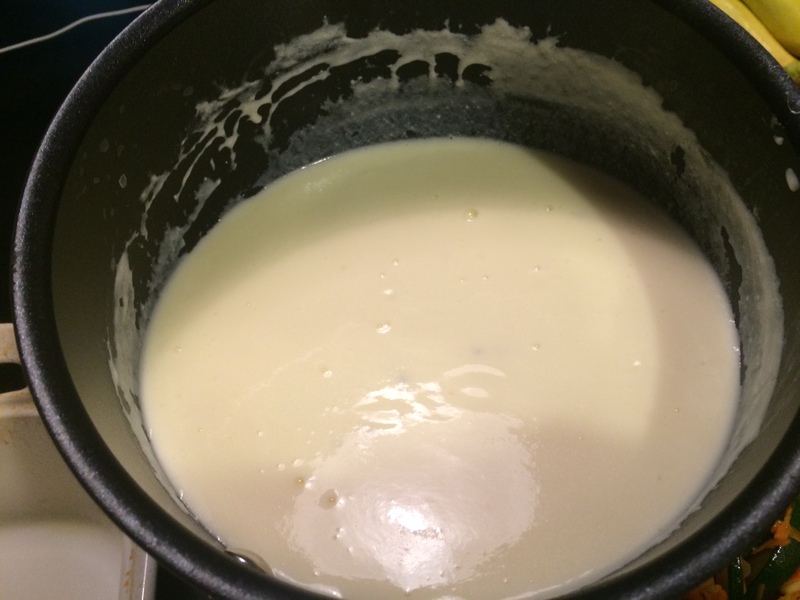 When it begins to thicken whisk in the sour cream and keep cooking until it’s thickened to the consistency of a loose custard. Remove from heat. Add 1/2 of the cheese and panko to the veggies and then slowly stir in the milk mixture until wet and slightly loose. Put this mixture into an oiled casserole pan and top with the remaining panko and cheese. Bake at 375 for about 35-45 minutes, until brown and bubbly. 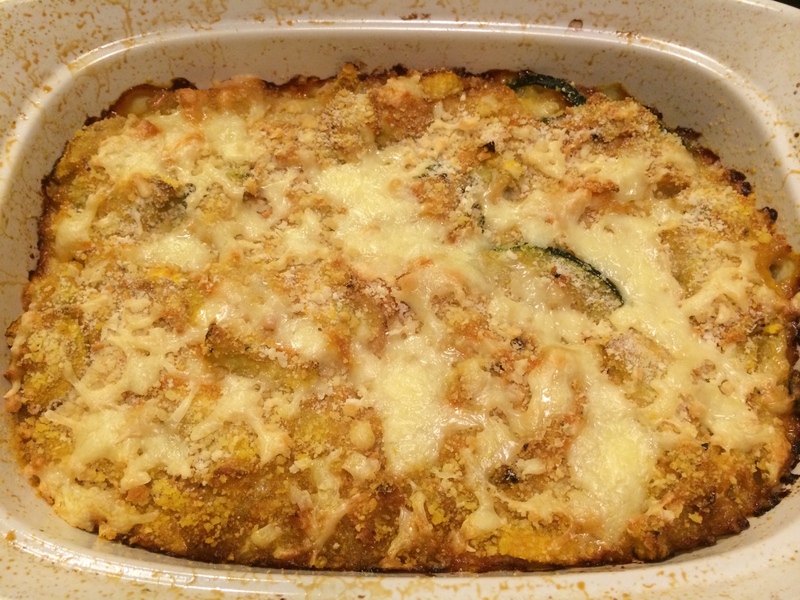 I hope you enjoy this southern squash casserole and it’s from scratch comfort. It’s a recipe that’s easily adaptable to your personal tastes or preferences and this version is much lighter than the traditional one. It’s even better the next day – if you have any left!